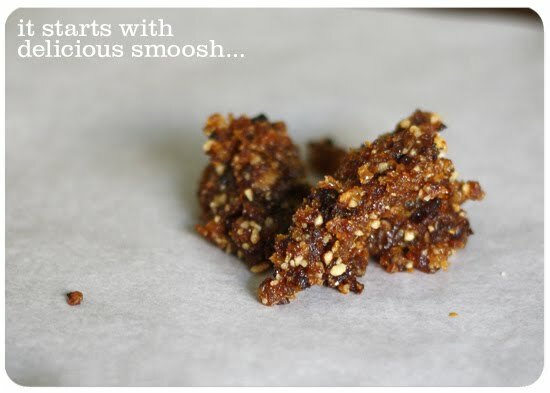 A Year of FHE: RECIPE // Sugar Plums for Christmas! 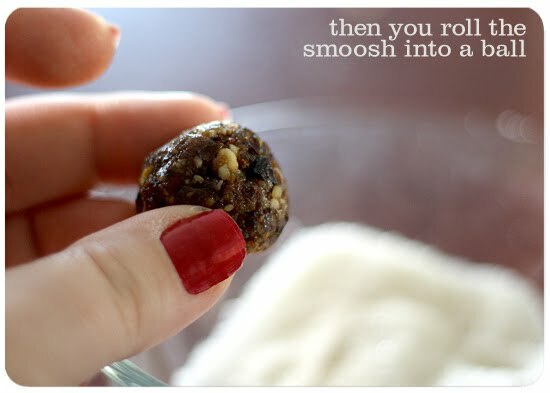 RECIPE // Sugar Plums for Christmas! "...while visions of sugerplums danced in their heads." "Dance of the Sugerplum Fairies"
"Can't wait to see my dad, we're gonna go ice skating and...and eat sugar plums!" In 2011 our family attended a Winter Solstice party. (First of all...how fun is that?) And at the party we made sugar plums. You hear about sugar plums a lot around Christmastime, but what exactly are they? Delicious. That's what. 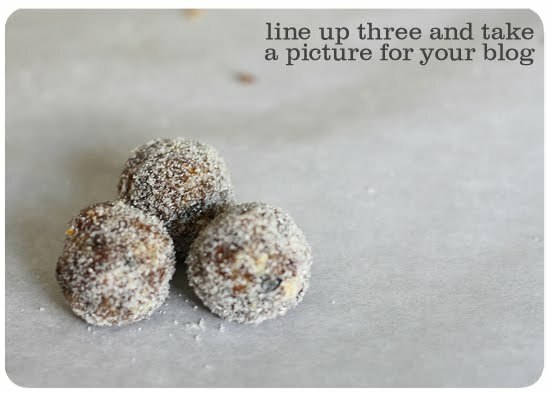 Okay, but what they actually are is a combination of dried fruits, nuts and honey, combined and rolled into a ball and dipped in sugar, powdered sugar or cocoa. 1. Place almonds in a dry pan. Toast on stove over medium heat, stirring often, until lightly browned and starting to smell toasty. Remove from pan and spread onto plate, allow to cool for 10 minutes. 2. Pulse toasted almonds in a food processor until well chopped, but not pureed. Remove and set aside. nutmeg in food processor. Add dried fruits. Pulse to break down fruit. If mixture is too thick you may want to process in two batches or add up to 2 T. hot water, but it is supposed to be very thick. Add chopped nuts and process to combine well. 4. Cover with plastic wrap and refrigerate at least one hour or up to two days. 5. Set up a work station to make sugar-plums. You need a small bowl of cold water, a bowl for each coating (sugar, powdered. sugar or cocoas powder) and a was paper lined place to put finished sugar-plums. Lay on platter in a single layer. You may choose to place a toothpick in each one to keep fingers clean. Store in single layers between sheets of waxed paper in airtight containers for up to 1 month. Their flavor improves after ripening for several days. 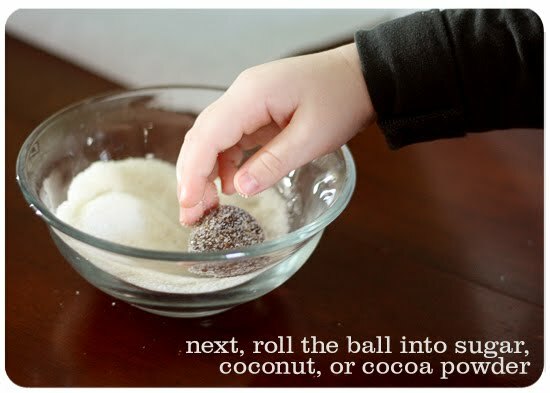 *Note: If rolling in cocoa or powdered sugar, roll just before serving when possible. I hope you love this recipe and make it a new family tradition like we have!